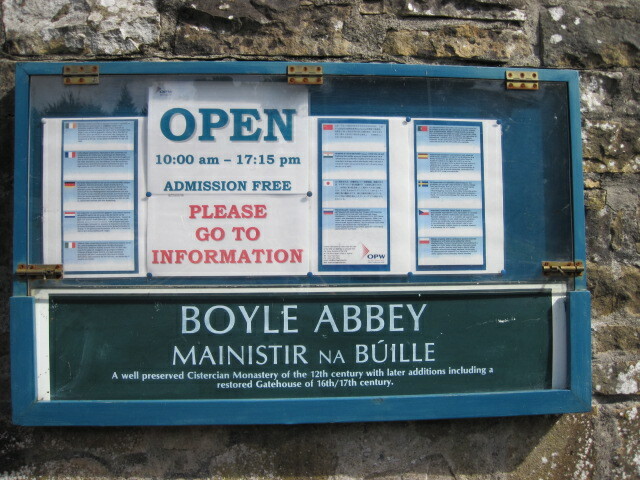 Whilst I was in Boyle, Boyle Abbey was on my must do list of places to go. The reason is quite simple. 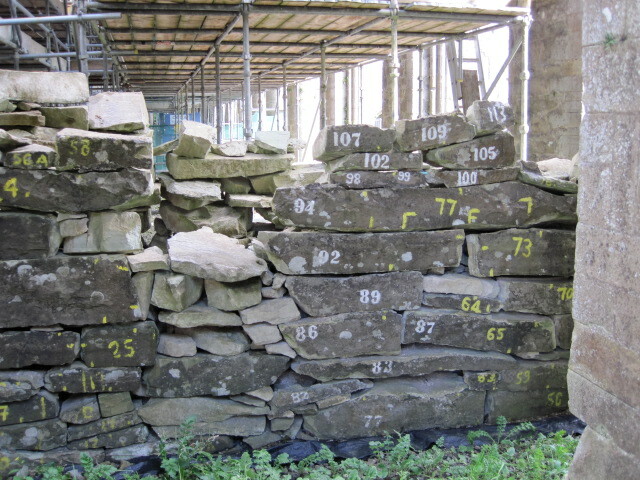 This time next year the full restoration of the abbey will have taken place and I don’t want to be looking at pictures of the great work the OPW did – past tense. BTW when it re-opens the entry charge will return. I’m told it should be about 2 or 3 euro’s. I’ll gladly pay it based on what I saw existing, in progress and in drawings for the future. The Cistercian abbey was founded in the 12th century under the patronage of the local ruling family, the MacDermotts and is one of the best preserved in Ireland. It was colonised from Mellifont in 1161. The building of the chancel and the transepts with their side-chapels probably began shortly after this date, though the lancet windows in the east gable were inserted in the 13th century. There is a combination of rounded and pointed arches in the transepts and crossing. The existing large square tower formed part of the church from the beginning, though it was raised in height at a later stage. The five eastern arches of the nave and their supporting pillars were built at the end of the 12th century, and have well-preserved capitals typical of the period. Although built at the same time, the arches of the northern side of the nave are different in type, and have differently shaped columns and capitals. The three westernmost arches in the south arcade which have leafed and figured capitals, were built after 1205, as was the west wall, before the church was finally consecrated in 1218. Nothing remains of the cloister, but on the eastern side there are two doorways of c.1200, now blocked up. On the west side there is a two-storey gatehouse, which acts as an interpretative centre. The rest of the buildings surrounding the cloister are largely 16th or 17th century. 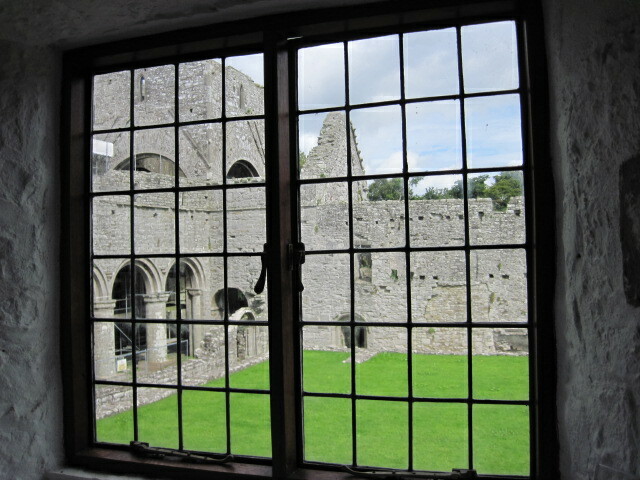 The Abbey was one of the most important in Connacht, and was invaded by Richard de Burgo, Maurice Fitzgerald, and Justiciar, in 1235. In 1659, the Cromwelliansoccupied the monastery and did a great deal of destruction. Though mutilated during the 17th and 18th centuries when it was used to accommodate a military garrison, Boyle Abbey is one of the best preserved structures of its type, and attracts many thousands of visitors per year. A restored gatehouse 16th/17th century vintage houses an exhibition. 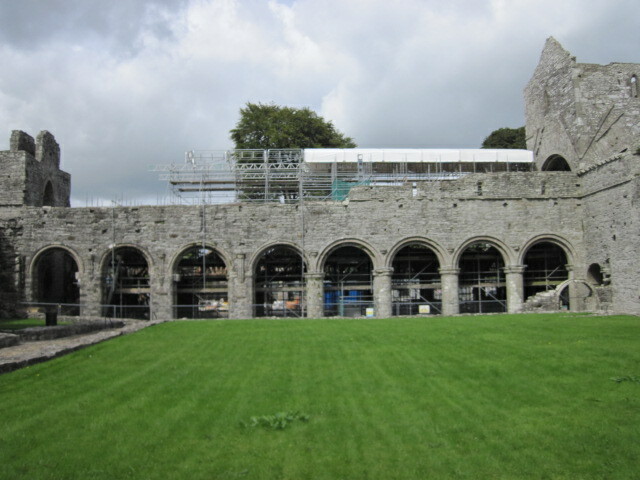 The Abbey is now a national monument in state care and admission is currently free while restoration work is being carried out. There is a Sile na Gig hidden above one of the central Romanesque arches in Boyle Abbey. It can be seen from ground level, just at the top of the column, where the arch begins.